We Must Never Forget! Attack On Prayer! According to the latest numbers, (Wikipedia) there were 2,996 total lives lost during the attacks of that day. Included in this number are the 19 murderers who unmercifully slaughtered innocent lives. The Pentagon lost 125 and the total of the passengers in the planes was 246. 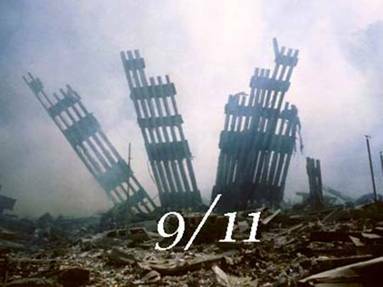 Not all families from the Twin Towers received remains of their loved ones. These families will have their family member buried under the newly erected Freedom Tower and the water memorial scheduled for dedication this Sunday, marking the anniversary of the attacks in New York City. The USA Patriot Act short for 'Uniting and Strengthening America by Providing Appropriate Tools Required to Intercept and Obstruct Terrorism Act of 2001' was passed assuring us that it would help in the deterrence of terrorists. It has been part of the War on Terror but has not been without controversy, especially from the ACLU. 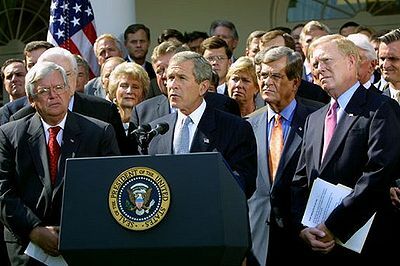 Congress approved the Joint Resolution to Authorize the Use of United States Armed Forces Against Iraq on October 2, 2002. We stood united. And we went to war on March 19, 2003. Why the recollection? We must never forget the innocents who died on that day. We must never forget the importance of the courageous acts performed by the first responders and those civilians that gave their lives helping others, the passengers of Flight 93 who averted the plane from destroying more lives and preventing the obliteration of either the U.S. Capitol or the White House. We must never forget how these remarkable people touched the lives of so many who survived and lived to tell their story. The heroism and acts of kindness shown that day exemplify the American Spirit. We have to focus on how united we were during this very difficult time and how resilient Americans can be. Together we can unite by displaying our flags and honoring the memory of all those lost on 9/11. Sign the petition or contact Mayor Bloomberg’s office and let him know what a mistake it is to ignore God. Bloomberg, I have new respect for you. It's not about banning prayer, it's about banning GOVERNMENT-SPONSORED prayer. If you're there and want to pray, feel free. No one's stopping you. But don't use the government to push your religion's message. It's against the Constitution. It's illegal for the government to formally promote a religion, thanks to the Establishment Clause. If you want to attend a formal prayer event, go to a church. That's what they're for. The government isn't your church. You don't want it to be, do you? Hell, you can even pray AT the event, if you want to, the government won't stop you. They just won't tell you to do so. Do you really need a clergyman to tell you when to pray?